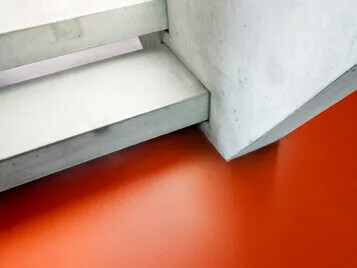 Forbo is a leading manufacturer of flooring systems, building and construction adhesives as well as power transmission and conveyor belt solutions. The Flooring Systems division offers a broad and attractive range of environmentally friendly linoleum, high-quality vinyl floors, entrance flooring systems for cleaning and drying shoes, carpet tiles, needle felt, and Flotex, the washable textile flooring. Thanks to their excellent technical properties and attractive design, these flooring solutions are invariably the first choice for public buildings, department stores, hospitals and healthcare facilities, schools, libraries, commercial offices, leisure centers, hotels, restaurants, and cafeterias and are also used in the residential market. With a market share of over 65 percent, Forbo is the world market leader in linoleum. Under the brand name Eurocol, Flooring Systems also provides ready-made adhesives for flooring installations and ceramic tiles, as well as leveling compounds for the construction industry. Movement Systems is a global industry leader providing top-quality power transmission belts, sophisticated conveyor and processing belts, as well as plastic modular, timing, and flat belts made of synthetic materials. These products are known under the brand name Siegling. 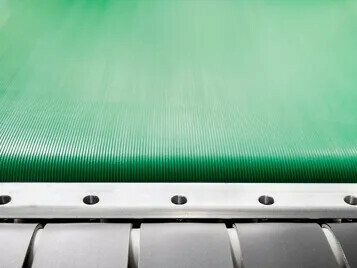 They are used in a wider range of applications in the industry, trade, and the service sector, for example as conveyor and processing belts in the food industry, as treadmill belts in fitness studios, and flat belts in mail distribution centers.